A little mid-week drawing. Or should I say, procrastination at its finest. I don’t usually like drawing with permanent marker, but was in the mood for something different today and best of all, no brushes to clean after! Posted on 20 August 2013 by audreysjl. 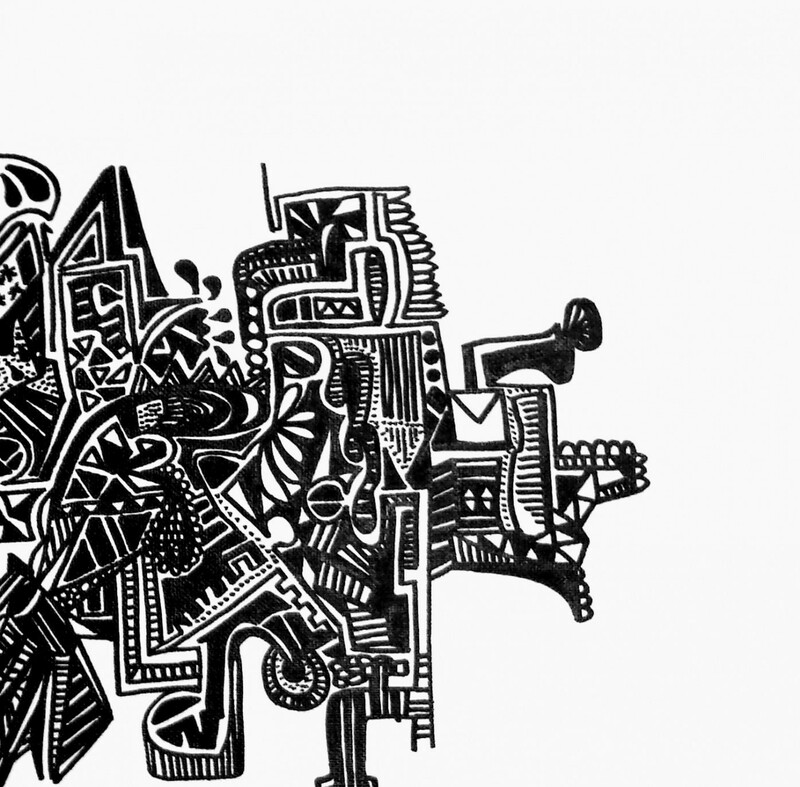 This entry was posted in All, Art and tagged abstract, doodle, drawing, graffiti, illustration, paper, permanent marker, urban. Bookmark the permalink.